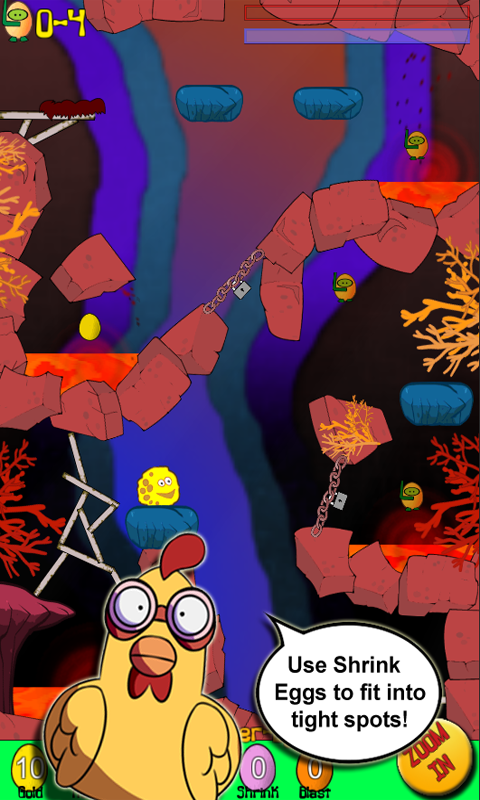 Chicken Poulette is one tough bird! Her Eggers were stolen by the angry Sea Monster Octopus Ottie and hidden in caverns beneath the sea. 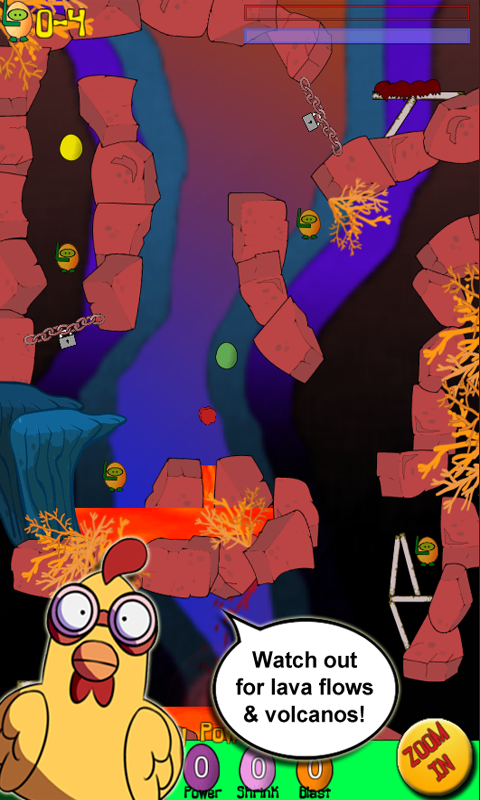 Adventurer Poulette intends to jump into action and get them all back! 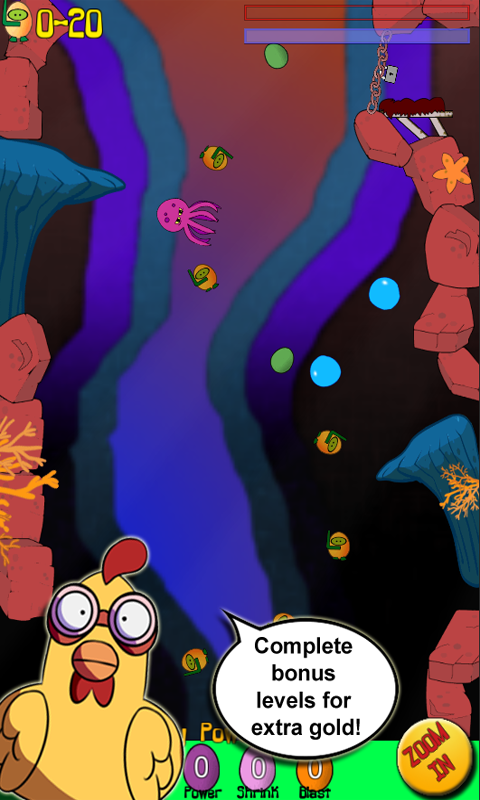 Help Poulette recover the Eggers by steering her Chicken Pod through a series of colourful underwater cavern mazes filled with lichen, starfish, sponges and coral reefs. 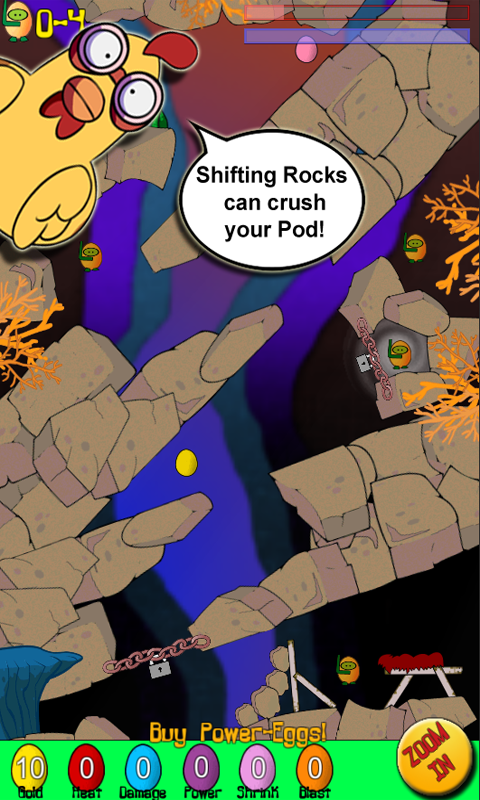 Steer clear of the cavern edges and many other obstacles that appear in each level. Avoid falling rocks, lava flows, volcanoes, seaweed and whirlpools. 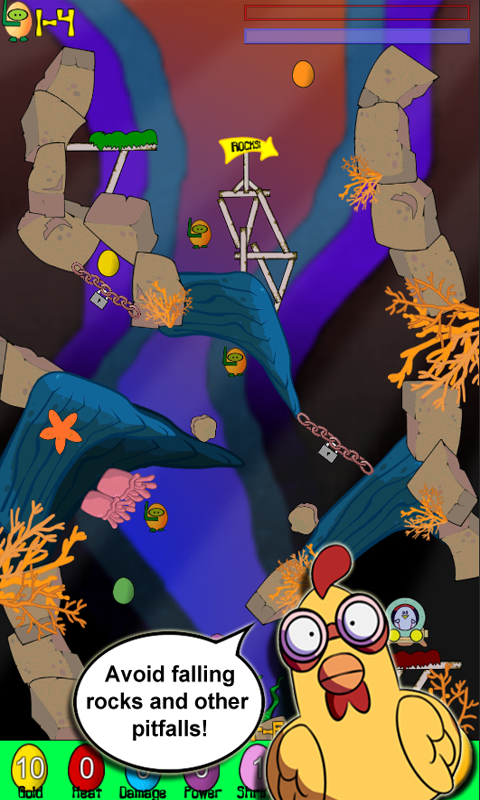 Collect Gold Eggs to exchange for Power Eggs that will help you survive this fishy ocean adventure. 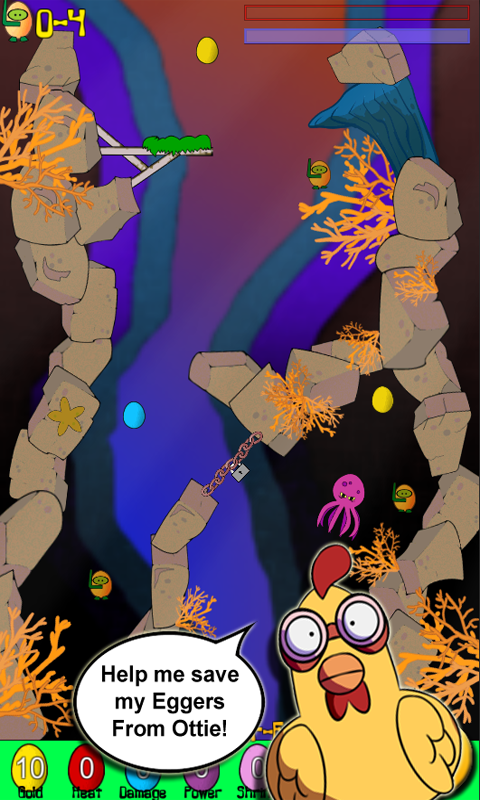 Sea Chicken is family friendly action game app for all ages.